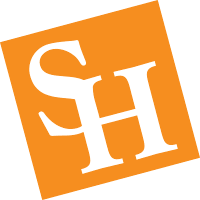 The Bachelor of Applied Arts and Sciences Program at Sam Houston State University is intended for students who have majored in a career and technology/vocational/technical program at a community college, university, junior college, or an accredited technical school and further decide to seek a baccalaureate degree. The program allows students to develop a program of study specific to their career and educational goals. To be eligible for the BAAS degree program you must have earned and received an Associates of Applied Arts and Sciences (AAS) in a technical area with at least 36 hours of coursework. Upon acceptance, students must complete the core classes and a minor area of study including at least 42 hours of advanced coursework (300-400 level). To be admitted and approved for the BAAS degree program students must be advised by the BAAS program coordinator. Minors: A minor area of study is required in a field related to the student’s technical specialty, career or educational goals. An internship or work-based mentorship is intended to provide experience-based learning opportunities for students in their respective discipline of study. Internships and mentorships are an option for all BAAS students and require departmental approval. BAAS students can receive three hours of credit per semester for up to nine hours total. An internship or mentorship is required for BAAS students who did not complete a field experience to earn their AAS degree. The BAAS degree is intended to advance the career prospects for those who hold an AAS degree in a career and technology/vocational/technical area with at least 36 hours of coursework related to their field of study. Graduates of our program have gone on to get their master's degree, medical degree, or teacher certification. View the Applied Arts and Sciences brochure (.pdf).